Google search engines use a variety of techniques that govern which pages should be displayed first in the search results. The Google ranking formula is not completely known to SEO's, but there are strategies and techniques that you can employ improve your websites rank in the organic search results. Below are 5 ways to increase your Google rank and earn more traffic to your website. Many websites target wrong keywords and this is among the worst mistakes. Take your time to do a thorough analysis of the keywords that produce conversions. One of the ways is to have analytic software like Google Analytic installed on your site and see how people find and interact your website. Usually, business targets broadly, therefore have high volume keywords that convert well instead of ranking keywords based on competitiveness, conversion and multiples of volume. After installing analytic software, mark the keywords that cause your visitor to engage and even leave a comment or make a purchase. Also note the pages which scare them off. Ensure you choose keywords that people will look for. Backlinks are links that come from another site to your site, because they point back to your pages. When you build these links which points back to your website, they can really boost your site’s SEO and increase Google rankings. The more reputable and authoritative the website, the greater the impact it will have to increase your Google rankings. You can add backlinks by making some comments on other blogs, guest blogging, and other creative tacts. However, there are various link building techniques that can help you achieve the best results. These includes creating viral content, guest posting, building link exchange relationships, creating info-graphics, and analyzing competitor links. This is one of the latest evolutions in SEO. It’s one of the powerful forms of optimization but currently the least used forms of SEO. After grasping the method and concept of schema markup, you can use it to boost your website in the search engine result pages. Schema markup uses unique semantic vocabulary in microdata format. It is actually a code that you put in your website to assist the search engines to return more informative results. It not only tells the search engine what your data says but also what it means. A sitemap is a page or file on your site that lays out all of the rank-worth pages of your website. It enables Google bots to easily find all the links and content of your website. Sitemaps also determine the importance of your website’s content. There are a number of websites that will create a sitemap for you or you can even generate one for yourself. This alone can really help increase your Google rankings. Always capitalize much on social media. Social media is a great way to spread backlinks to many viewers. If your content is valuable, many viewers will link your site for you, which in turn increases traffic and consequently increasing your rank. Developing a compelling post about your site is important for social media. The reader should be fully attracted to follow the link and also needs to stand out from the pool of news on their feed. 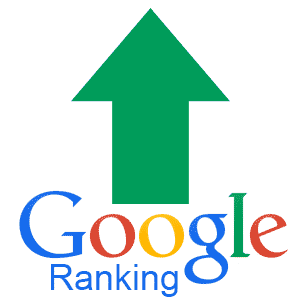 Do you have any more tips to increase your website ranking in Google? Let us your know SEO strategies in the comments below.